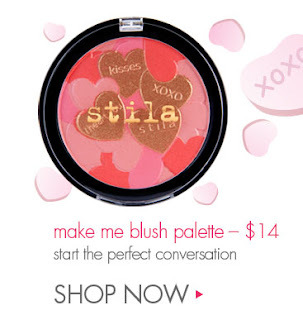 I ordered the Stila Make Me Blush Palette and it is just darling. I read a few reviews that said the gold hearts you see in the promo pic above are just an overspray..... so I wiped the gold off with a cotton ball before I used it- you can see that in my pic above. This does lean pretty coral, but is so so pretty. The code STILAVIP will get it to you for $12.12, shipped free! By the way, if you ever order from Stila online, remember that they are on ebates and you get 6% back...... here's my referral link- you get $5, I get $5. And I found the other Physician Formula Happy Booster blush- Rose is on the left and Natural on the right- both are GORGEOUS! Locals, the Brookhaven CVS has them right now, and there are two things that make this a great deal. First, there's a $3 peelie sticker on them, AND CVS has a great ExtraBuck deal.... spend $10 on PF cosmetics, and get $7 back. Basically, you get it for $3 out of pocket. I bought some Neutrogena bronzer this weekend that I love! I have looked everywhere for that darn pf blush!! Can't seem to find it here in Texas! Ashley- here I have seen it at Ulta (endcap display), Walmart (regular PF display), and CVS (endcap display). Hope you can find it- it's lovely!